Crafted from a super soft cotton/poly blend for superior comfort with brushed interior fabric for a soft and silky feel. Constructed with an optimized cotton and polyester that allows breathable comfort and sweat wicking properties. Pre-shrunk ringspun cotton ensures that you can wear this pullover without fear of it shrinking so much you can't wear it! Double needle stitch construction on the vital seams of the sweater provides a durability that allows use year after year. A large front kangaroo pouch pocket for all of your storage needs. Elastic ribbed wrist cuff and bottom hem gives this sweater a snug and comfortable fit. The hoodie on the jacket is made with a flat knit drawstring and utilizes tear away labels for a no hassle experience. Perfect for daily wear, night out in the city, active wear, workout, wearing at home, in chilly weather, for layering, etc. Available from S-3XL and in 20 different colors. Only here at Hat and Beyond ! 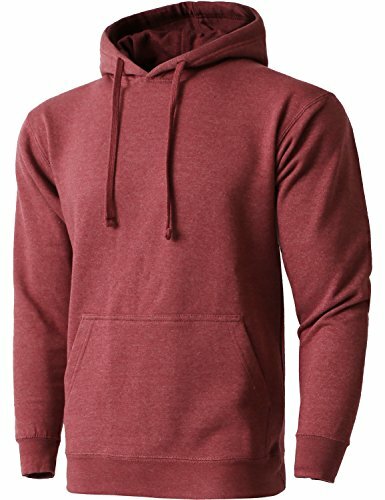 MA Mens Pullover Heavyweight Hoodie Sweatshirts Heavyweight Fleece Casual Long Sleeve Sweatshirts; Only here at Hat and Beyond ! Pre-shrunk ringspun cotton for comfortable and lasting use; Elastic ribbed wrist cuff.Double needle stitching on neck, sleeve ends, kangaroo pocket, and bottom hem. Available in 20 different styles and S-3XL. 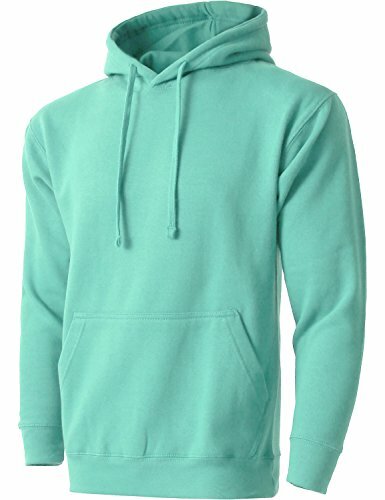 ; Hood features double layer fabric with flat knit drawcord; Perfect for cold weather, when the air starts to bite. Please Be Advised To See Our Size Chart Below For The Accurate Fit & Order One Size Up; Aware That Size Might Slightly Differ |WARNING| Hat and Beyond is the sole distributor for this particular item and design. Please check the seller's name before placing an order. Products that are sold by other sellers are counterfeit products and these unauthentic products may have size, color, and other quality issues.